Pontins Sand Bay is set in a beautiful, open landscaped area. You can explore the local coast or stay on park and enjoy many of the relaxing seating areas. With beautiful sunsets, blue sea and golden sand dunes you can relax and enjoy a holiday with a great location, a great Holiday Park andl ots of great entertainment! 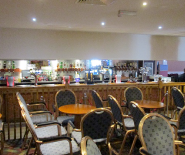 Never miss a minute of the entertainment as our main bar is situated at the rear of the ballroom. 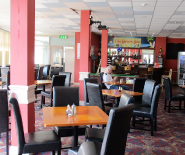 Our Queen Vic bar is just next door offering great entertainment until late. For those of you who wish to enjoy a drink & chat with friends in a quieter environment. Why not try our new Beach Bar situated just off reception. Whatever the weather has in store during your break, our wide range of leisure facilities will keep you occupied. With a heated indoor swimming pool & you will be stuck for choice on where to relax, or you can work up a sweat in the sauna. 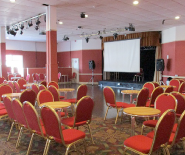 The wonderful daytime & evening entertainment includes cabaret shows, live music & game shows. You can join in with our ‘Daily Tea Dances’and watch Live bands perform during the intervals. Our Bluecoats will also be performing in their fabulous shows. Taking us all across the pond to Detroit City for a show jam packed with perfect pop and soulful ballads from the Motown era. So if you’re tempted to drift along for one of our supreme performances then this is the show for you! This is a Tribute to the fab four legends, The Beatles. Let us Please Please you With a little help from our friends so it doesn’t feel such a Hard Day’s Night. The shows will feature many well known hits from the Beatles to stir memories and rouse voices. 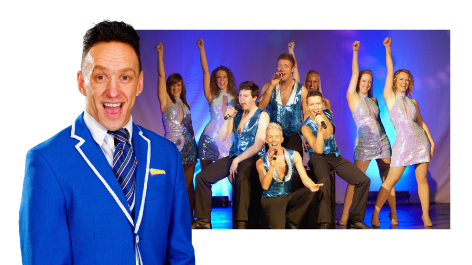 Our amazing Bluecoats are regarded by many as being some of the best entertainers in the industry and at Pontins we are very proud of the rich tradition that comes with the famous blue uniform. So prepare to be entertained and amazed as you witness their talents first hand, we have singers, dancers and a whole host of other talented Bluecoats just waiting to make your stay a memorable one! Terms & Conditions apply. E&OE. Subject to availability. Rates are pre paid and non refundable. Available for new bookings only. All prices shown are the lowest available on date shown and may incur additional upgrade charges, fees or occupancy supplements. *Sand Bay prices are per adult based on 2 sharing a 1 bedroom half board classic apartment except for breaks on 12th Jan, 23rd Dec, 27th Dec and 30th Dec where prices are based on 2 sharing a 1 bedroom full board classic apartment. Half Price bar for 1 night is on a Thursday during midweek breaks and on a Sunday during weekend breaks. Please note – due to the way our entertainment is scheduled we cannot guarantee any one act will appear on a certain date. £15 Second Bedroom Supplement Charge at some parks. 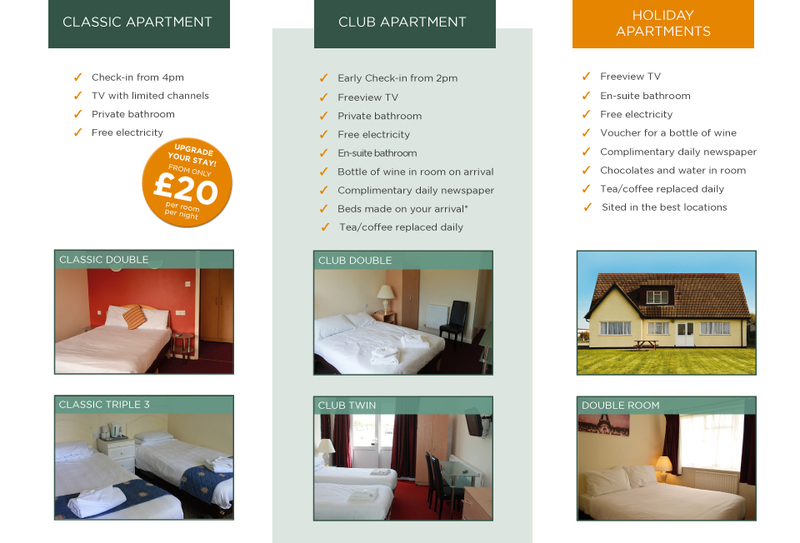 Details about the early booking offer are shown in the price and date insert and are subject to availability. The photographs shown do not represent all apartments on the Holiday Park. Apartments differ from room to room but this gives you a general idea. It is not representative of all facilities or accommodation types available. All Sand Bay Entertainment Breaks are Adult-Only. Pontins reserves the right to change/remove offers without prior notice. 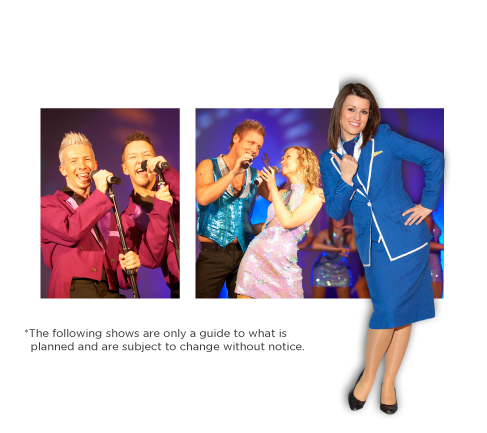 Full Terms & Conditions can be found online at www.pontins.com/terms-and-conditions/. Join a Weekend or Midweek Adult Only break at Pontins Sand Bay. 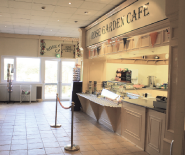 With beautiful gardens and relaxing surroundings, there are plenty of choices for food too! With a fully heated indoor swimming pool, plus activities around the park including tea dances and our fabulous gardens, there is always something new. Then, in the evenings, join us for entertainment as only Pontins can provide. With brilliant cabarets and tribute acts from around the world!